There is no doubt that BTS has one of the strongest rap lines in the K-pop industry. Composed of RM, Suga and J-Hope, the rap line has impressed fans and later on the public since the group’s debut in 2013. Each rapper has individual qualities and characteristics that make them stand out as a solo artist – and when they come together, they are even stronger. RM himself stands out as BTS‘ leader. He has incredible feats that have garnered praise not only from ARMYs but also from the international press. His impactful speech at the United Nations about self-love made news headlines around the world. Because of this, many fans have taken to giving him the nickname “president“. Furthermore, he has an IQ of 148 and is in the top 1.3% of South Korea in the university entrance exams for language, math, foreign language and social studies. He taught English to himself by watching the hit sitcom ‘Friends‘. RM has been rapping since he was young. Before joining Big Hit Entertainment, he was an underground rapper (known as Runch Randa) along with Zico, who was formerly the leader of Block B. RM was the first member to join BTS and even inspired fellow member Jungkook to pick Big Hit even though he had offers from six other entertainment companies. Likewise, his rap style is so distinct that many other rappers respect and look up to him. His flow and delivery of the chopper style of rap is impeccable. Chopper style is a fast-paced rapping. This is evident from the tracks on his solo mixtapes like ‘RM‘ and ‘mono‘, which are now available on Soundcloud. Suga won the hearts of fans not only because of his cute personality, but also because of his fierce determination. Growing up in Daegu, he endured a lot of hardships even as a trainee. He had to work really hard when he was young to get his parents’ approval to venture into music. When Suga was a trainee, he didn’t have enough money to even take the bus to the music studio. In one incident, he was hit by a car and damaged his shoulder. He decided to keep this a secret because he did not want to potentially lose his career. To this day, Suga still does not have full motion in his shoulder. Suga is known for composing and producing music, which he has done since he was a teenager. Like RM, Suga was also an underground rapper under the name Gloss. Even before joining Big Hit, he was producing music from home. His songs tend to be more emotional and sentimental because he references topics like depression and anxiety. However, ‘Agust D‘ is an exception as it is fierce and lit, even though it does reference such topics. Suga raps more in a sung style of way. This style encompasses rhythmic rapping that goes in time with the beat of the song. This is evident in the BTS track ‘EPILOGUE: Young Forever‘. J-Hope is one of the most well-rounded members of BTS. He can sing, rap and dance. As the main dancer, he can pull off the most complicated choreographies with ease. He also helps his fellow members with choreographies when they are having trouble. Most recently, J-Hope appeared on the survival show ‘Under Nineteen‘ as a dance mentor for the ‘Fake Love‘ team. The young members of the team had always idolised him, so getting to learn under him was a dream come true. When mentoring them, he was patient and made them feel at ease. Furthermore, his humbleness impressed viewers around the world. J-Hope even brought them food and autographed their sweatshirts. Even though J-Hope is more notable for his dancing, there is no doubt that he has rap skills. His mixtape ‘Hope World‘ broke records when it was released in 2018 with title track ‘Daydream‘. It now has 80+ million views. The fun MV is full of vibrant colours and an upbeat rap. J-Hope‘s rapping is more centred around the trap style rap. While the vocal line’s songs are sweeter and more sentimental, the rap line’s songs are more emotional and lit. Their songs feature a strong and powerful rap from each rapper, with some of their hidden vocals chiming in here and there. For example, ‘Outro: Tear‘ features melodic vocals from Suga. Some of their tracks have also been released on their official Soundcloud, such as ‘Ddaeng‘. This diss track is memorable because it incorporates traditional Korean music elements. And how could we forget about the legendary ‘Cyphers‘? Up until now, there have been four ‘BTS Cypher‘ tracks, each of them released progressively in subsequent albums. These specific tracks tackle deep and meaningful topics from their own lives. Through each ‘Cypher‘ track, the trio rap about the hardships they initially faced as the group were on the rise. The latest ‘Cypher‘ is about the fame that they have achieved. This journey is told artistically through their rap. 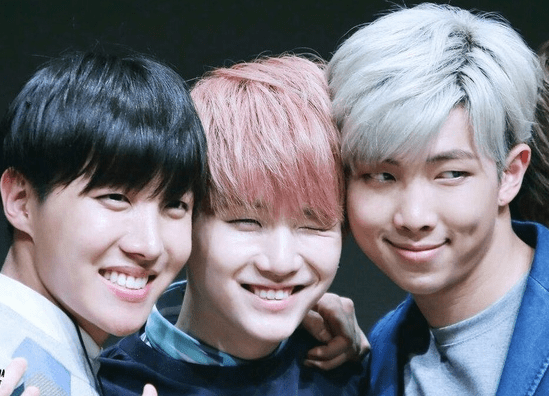 RM, Suga and J-Hope will always be known as one of K-pop’s strongest rap lines. Not only does their individuality stand out, but collectively they conquer the rap scene. We can’t wait to see more of what the trio has to offer us. 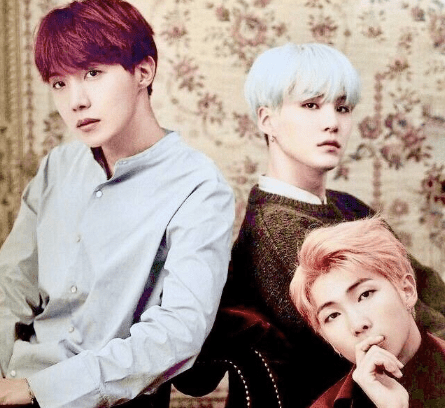 What do you think of BTS‘ rap line? Let us know in the comments below.